Quickly get the feedback you want without additional scope and work from your dev team. 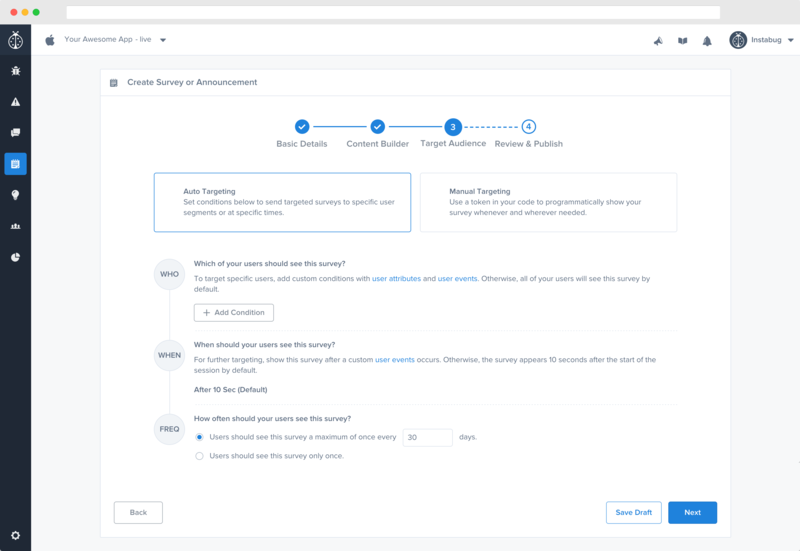 Build custom surveys or use existing templates, set your target audience based on specific conditions, and ship right from the Instabug dashboard—no code changes required. Get specific feedback from specific segments. You can now target your app users based on default attributes like app or OS version, last seen, session count, email, and country, in addition to being able to target users based on custom user attributes and user events, if you use these APIs. You can also set the frequency, from showing your survey or announcement only once to every X number of days. Catch negative comments before they reach the app store and drive more positive reviews. 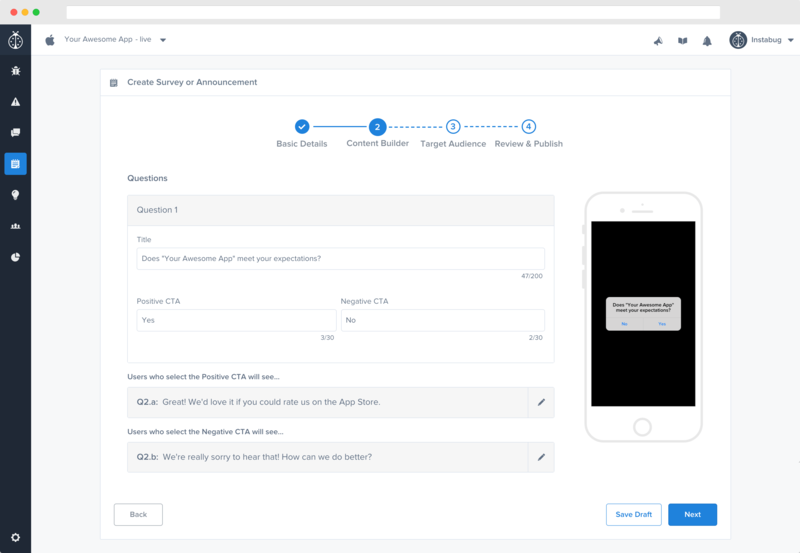 A new in-app survey template for app ratings lets you ship a two-step flow routed by logic where users are prompted to answer a question about your app either positively or negatively. Those who answer positively are asked to rate your app, while those who answer negatively are asked for feedback so you can identify pain points to solve. Take it one step further and reply to these respondents to learn more details about what users love about your app and context about why they are unhappy. Want more templates? Have requests for improving in-app surveys? We’d love to hear your thoughts! Send your feedback to our product team.